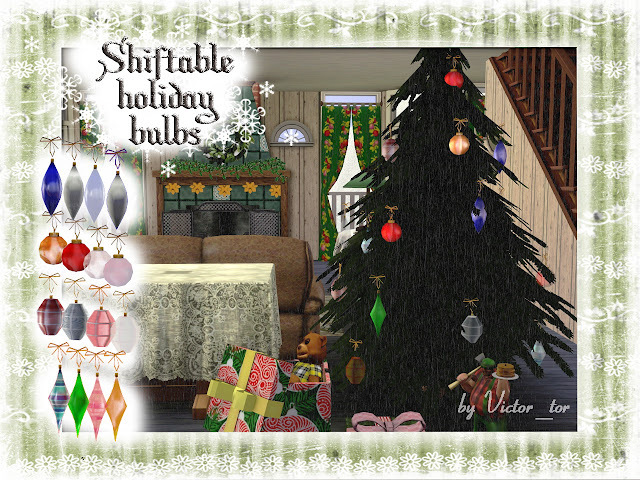 Shiftable holiday bulbs for your sims. Draw it in pictures section. Attention: Package file are NOT updated for pets. File name is wrong.